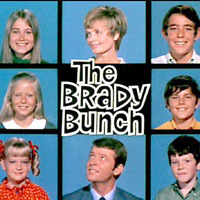 Showing 1 - 4 of 4 articles tagged "David Zaslav"
HGTV wins The Brady Bunch house with plans to restore it "to its 1970s glory"
Discovery recently expanded to include Scripps Networks channels like HGTV and Food Network. Would Discovery let Oprah out of her contract to run for president? Technically, Oprah Winfrey is an employee of Discovery Communications.